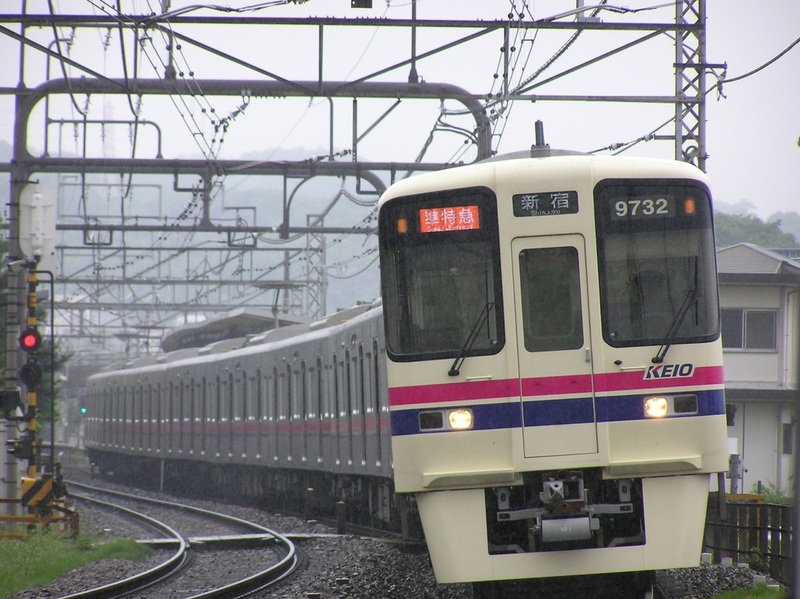 The 9000 Series is a four-door commuter-type electric multiple unit designed by Keio to replace the 6000 Series on the Keio Line with direct service through to the Toei Shinjuku Line. 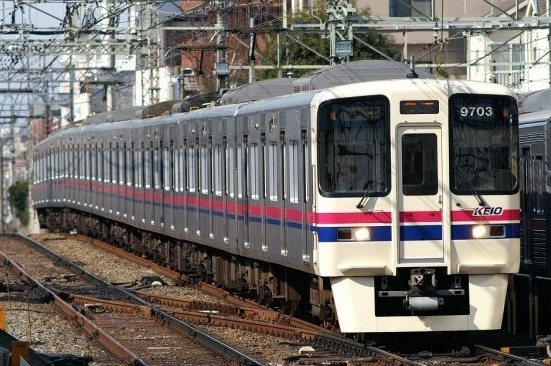 By the late 1990s and early 2000s, Keio's 6000 Series trains were showing their age and it was decided that a new model would be introduced to replace these. The 9000 Series was the result. The 9000 Series is constructed of stainless steel, much like its predecessors, but it has flat side panels, unlike the corrugated or bead-pressed side panels previously used. An IGBT element variable frequency drive is used, but this initially prevented it from entering the Shinjuku Line due to regulations. The first trains produced were eight cars long and do not have the equipment run on the Shinjuku Line. They can be distinguished by the frame located on the emergency door on the end cars. This frame is used when connecting eight car and two car formations. 10 car formations do not have these frames and are equipped to run on the Shinjuku Line.